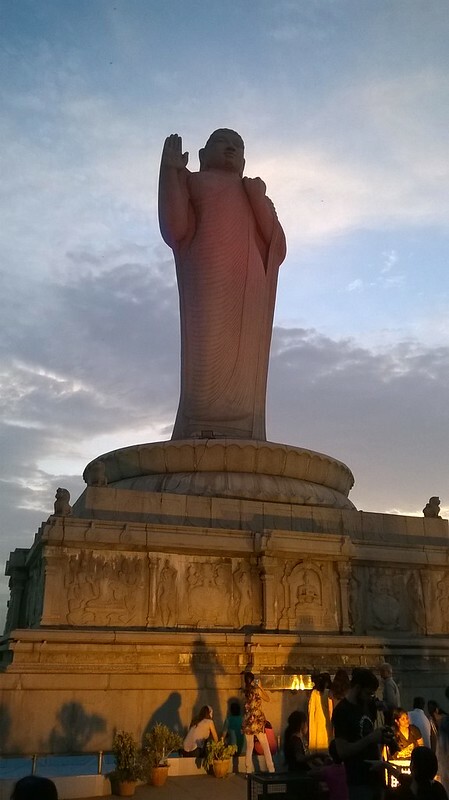 I was recently in South Indian city of Hyderabad, the capital of Andhra Pradesh (Now reorganized into two states called Telangana and Seemandhra ). 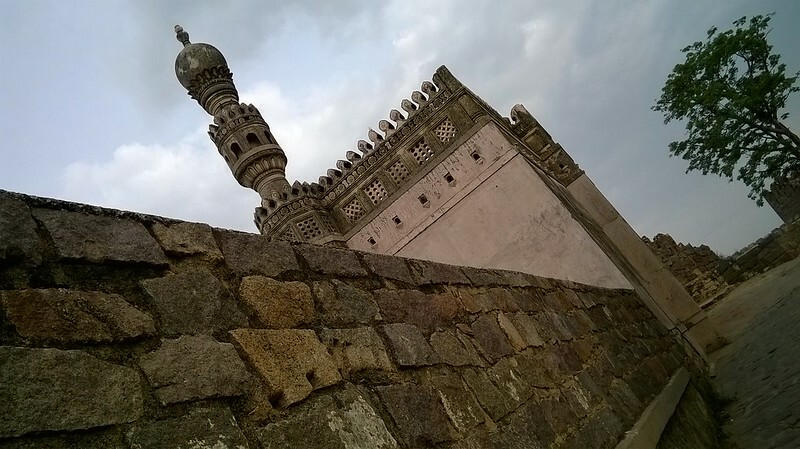 The city is know for its Biryani and Char Minar. 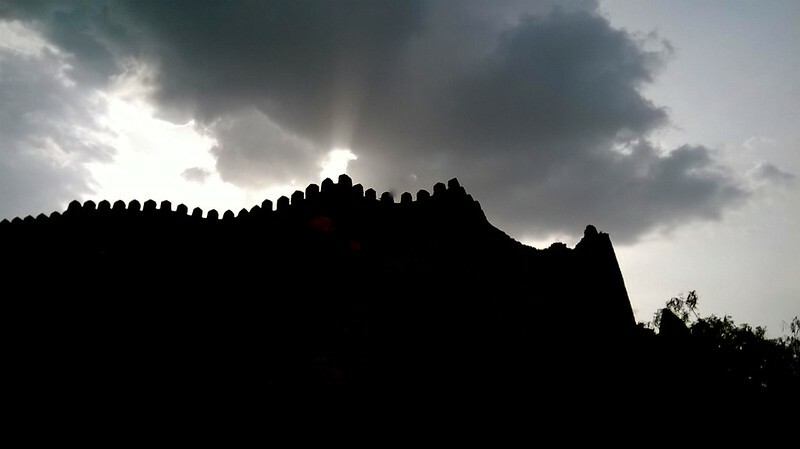 Due the schedule , i could only get a day (rather a combination of one evening and one morning ) to explore the Nawabi city. Thankfully, the city has an awesome public transportation system with buses and feeders plying to every nook and corner of the city. 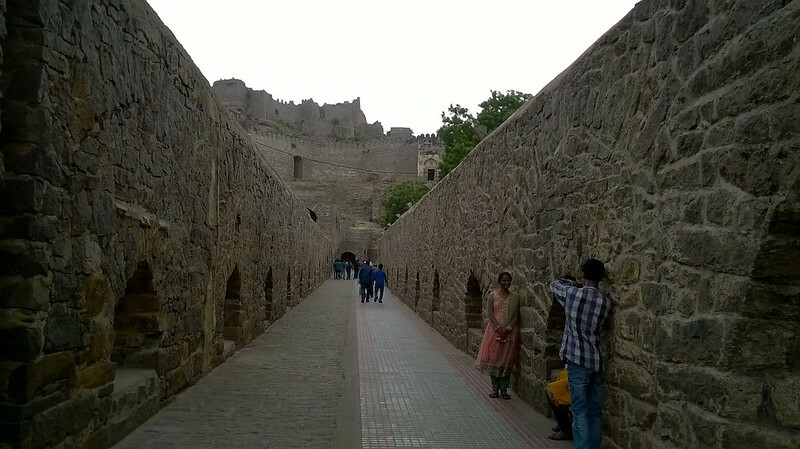 On the iteneary, we planned to visit Golconda Fort, Hussain Sagar, Char Minar and adjoining area and Banjara Hills. 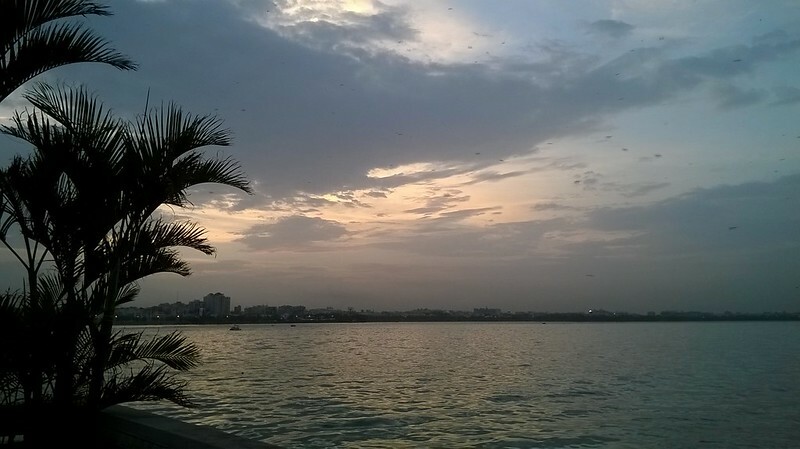 Luckily, we were based around Medhipatnam area, which provided easy access to most of the above places. The weather here was a bit cooler and moist than my home Delhi, which was literally breaking all time temperature records. 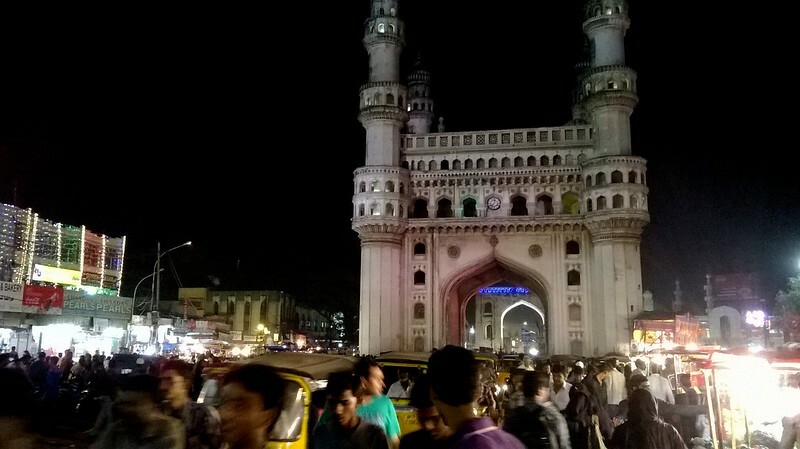 Hyderabad is a densely populated city. Unlike most south indian cities, due to the large Muslim population who speak Urdu, there is no problem for a Hindi speaking tourist here. The state predominantly speaks Telugu and has some “super-awesome-Newton-defying” movies,some of which i watched during the bus route from Chennai to Hyderabad. 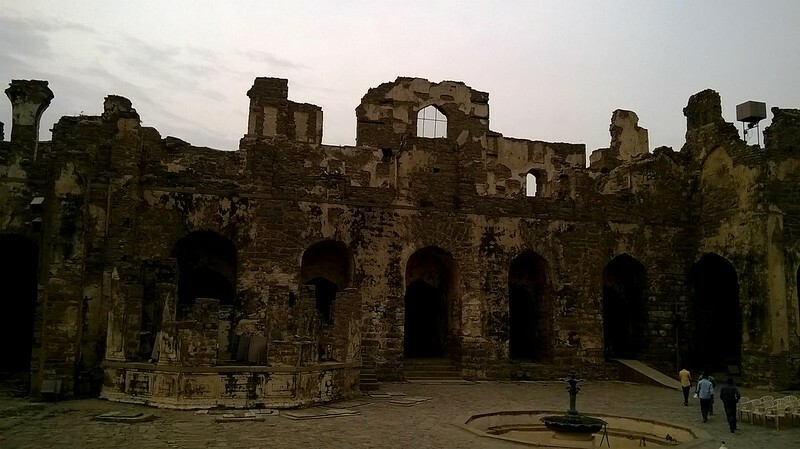 Since, Golconda was nearest , we boarded the bus that dropped us at the gate of Golconda Fort. 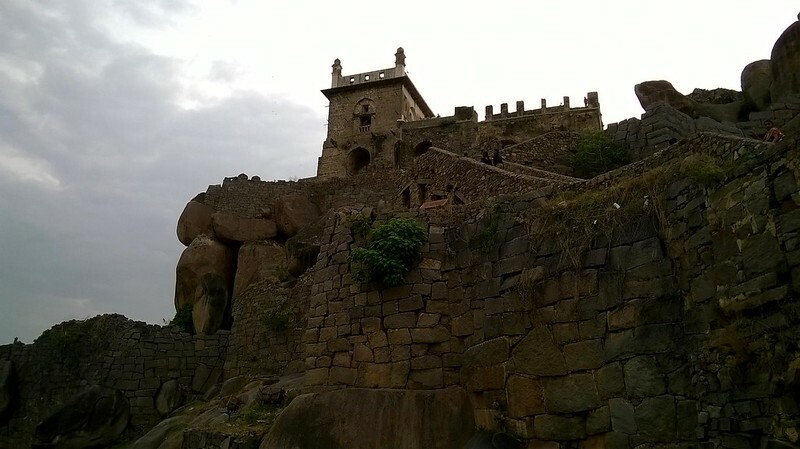 The Fort seemed massive. 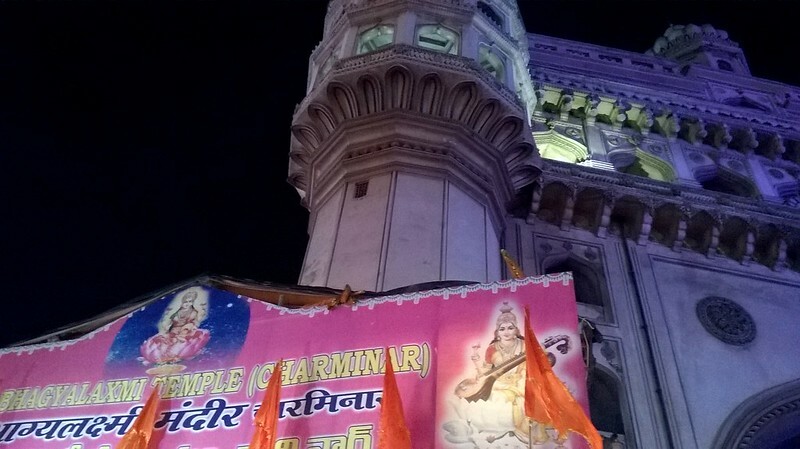 It seemed to have some features of both Hindu and Muslim architectural elements which confused me about its origins.At the entry, there is an interesting demonstration, that a couple of guides will give you like a “30- Day Anti virus Trial” . In the middle of section after the entry, when you clap , a lot of beats are generated that can be heard at different strategic parts of the Fort that were used as a signal. But when you move a few steps away from the centre, no beats are heard. Some pretty cool sound engineering from the past. These are generated due to these structures on the roof above. We bought a paper guide and started following the tour it promised. As we moved we saw this place where soldiers used to rest and take positions.Quite a popular picture spot it seems. 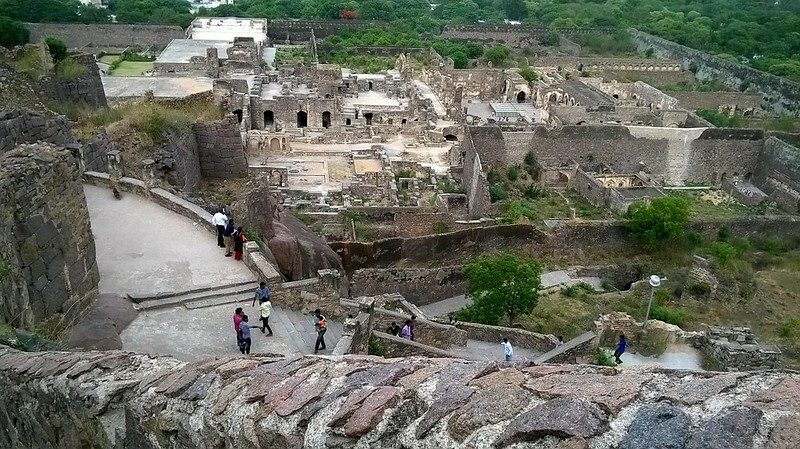 As we moved on, we approached a point where we had to start our journey of 350 stairs to reach to the top of the fort. I saw some interesting thing on the stairs. There were marks on the stairs with a yellow background and red finger marks on all of them. 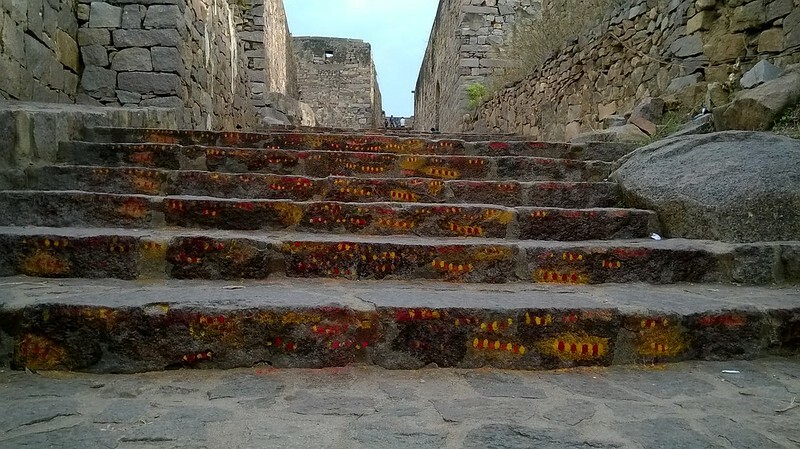 When asked from a passer-by he explained that this is a part of ritual performed here as there is a temple on the top. As we climbed, the air started to get a bit cooler and fresher. We could see the Fort is mostly in ruins and most of the things that it presumably had are only in books or in the guides like the one i had in my hand. 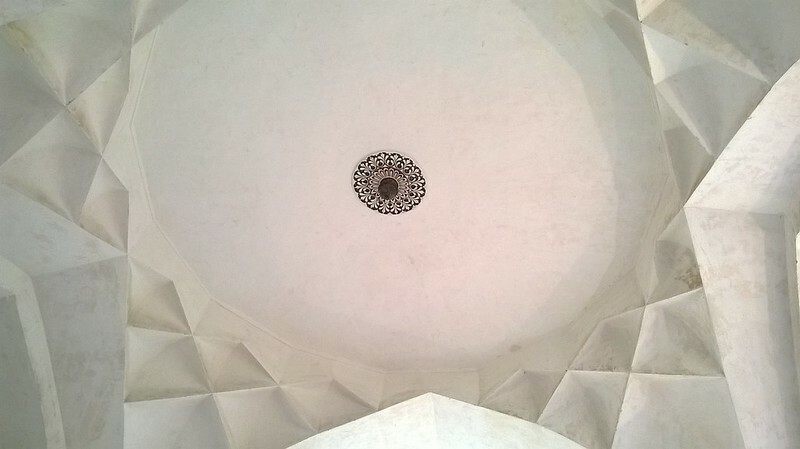 As we moved up stairs, we saw a mosque which was closed to visitors. There was also a jail which has an interesting story. 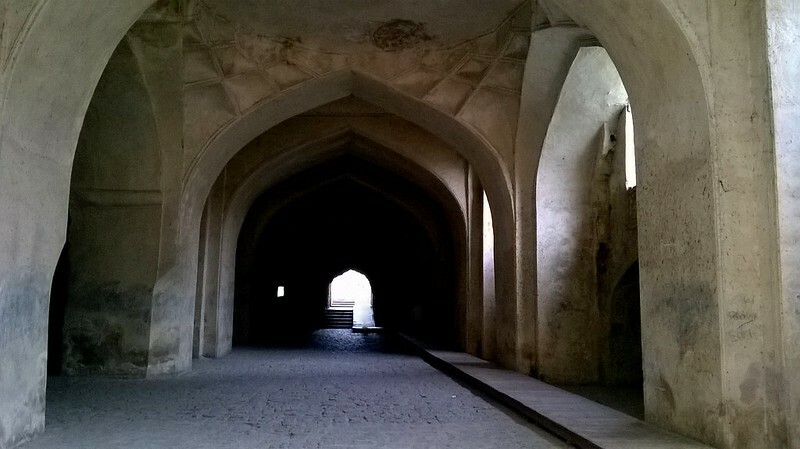 It is said that, there the Munshi ( The Head of Accounts) of the king was once held there because he paid from the coffers to help build a temple without the kings permission. Then after several years, God came in king’s dream and asked him to free him. He was freed that very night. There is a temple there now. Next, we moved to the top most point we could see the bigger picture. 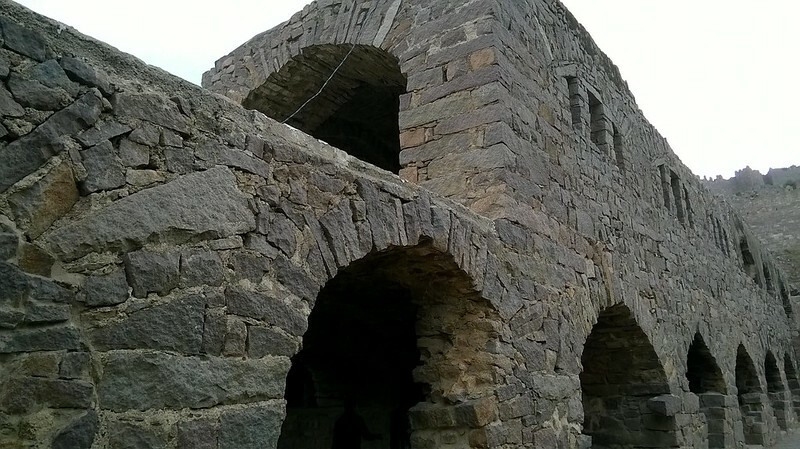 Most structures were in shambles. Here is the panorama from the top most point . From the top, we could see the entire city of hyderabad. 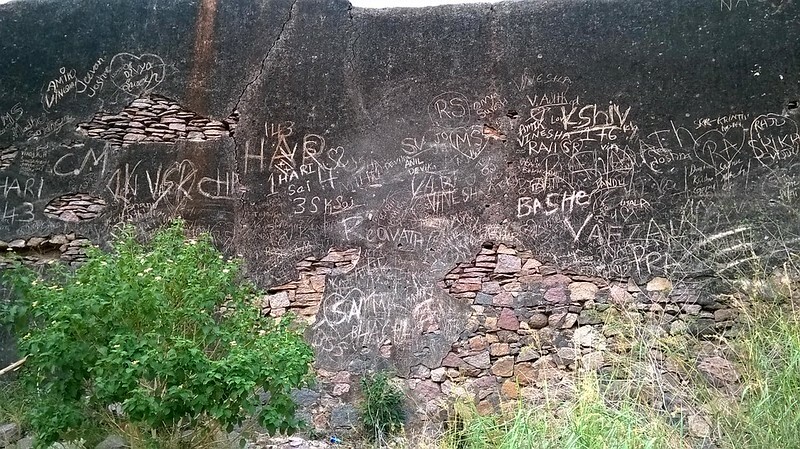 We caught a person vandalising the walls and asked him to stop. He ran away, but as we were decending we saw him writing with a charcoal on the walls of the place where the king’s Darbar meetings were held. 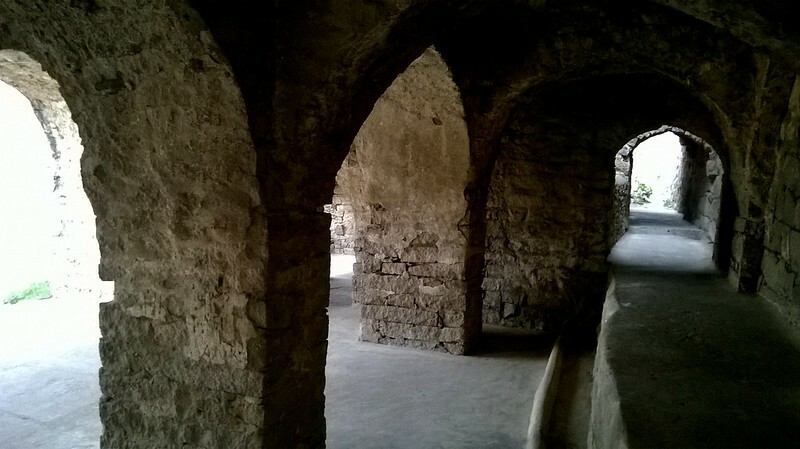 As we descended, we could see ruined arches and rooms that once housed the dignitaries of the king. Below, is the room where the queen(S) used to live. Next we moved to the place where artillery was stored. 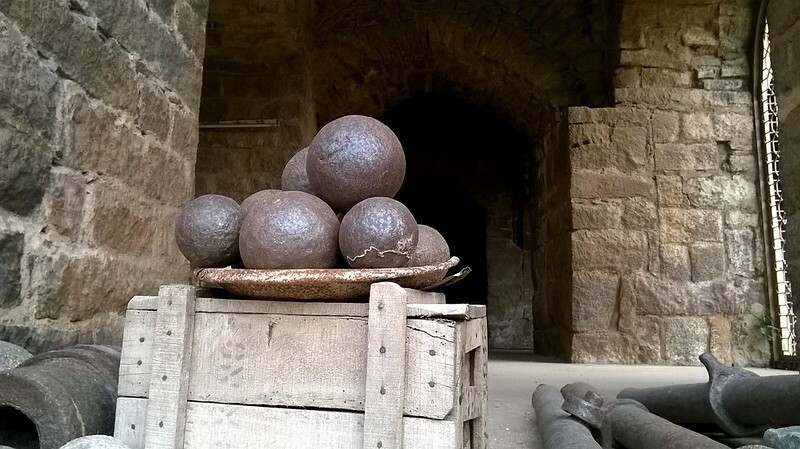 These large iron balls were propelled by cannons apart from the famous hot oil protection scheme to save the fort. 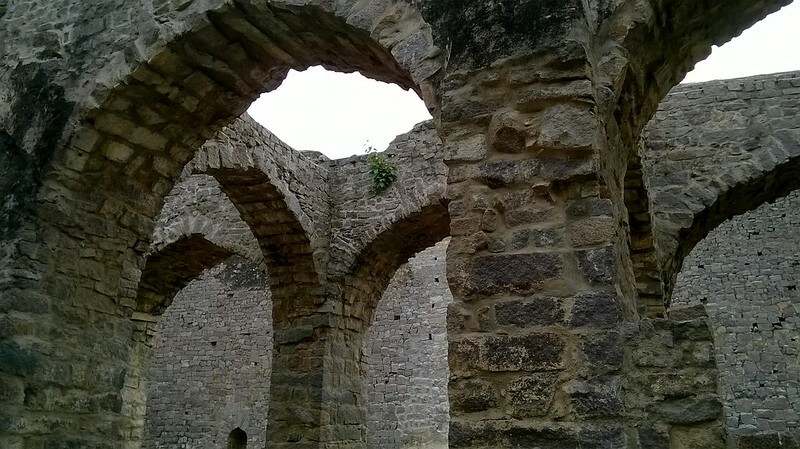 I remember, the hot oil was also used to protect Kangra Fort, in Himachal Pradesh. After this fort walk, we exited the complex and moved to the Bus Stand and sipped a couple of tender coconuts while we waited for the bus. 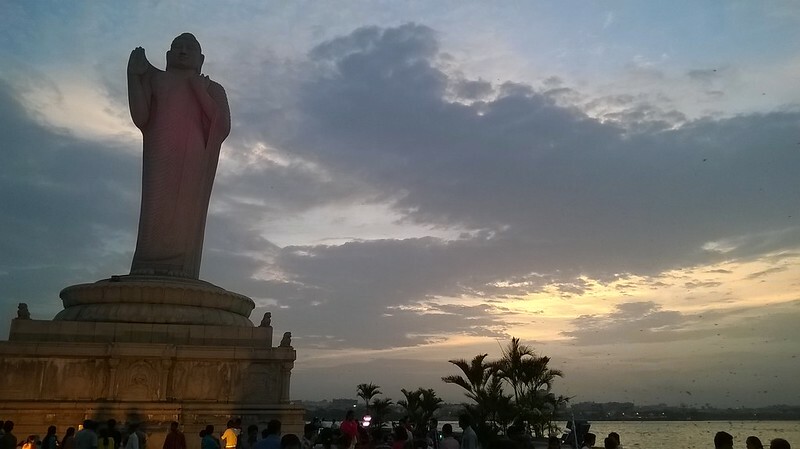 Next we moved to the Hussain Sagar Lake, Again we got a direct bus leading to the lake’s gate. Like the fort, the lake was huge. 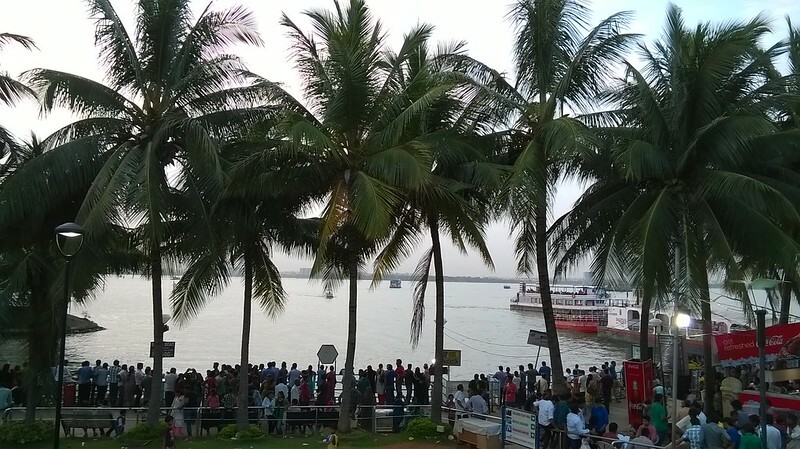 So, huge that there were ferries running in the lake to take visitors to the large statue of Lord Buddha. There is a small amusement park that has been set up for kids. 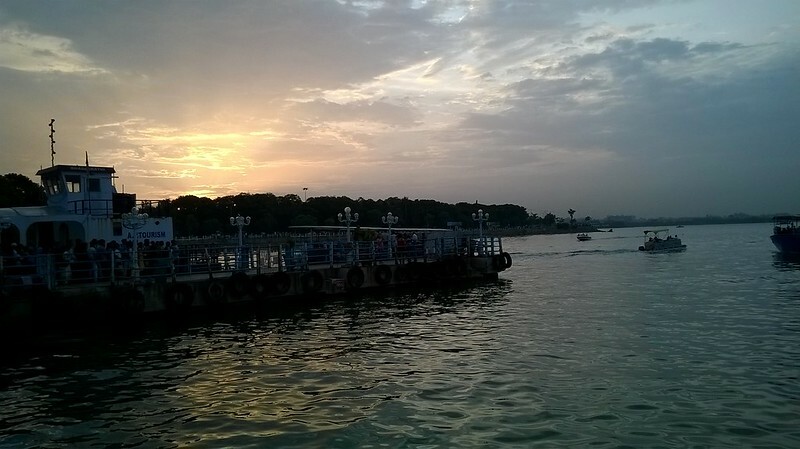 The sunset near the boarding point. The ferries take 5-10min and drop you at the Statue where you can stay as long as you want and catch any ferry back. The statue is decorated with beautiful lights. 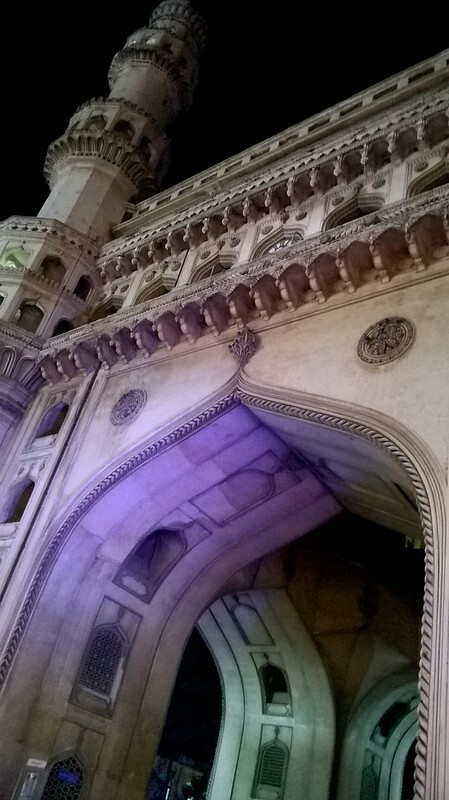 After spending some time there, we made a quick exit and caught the next bus to the Epic Charminar. With thoughts of Biriyani for which i have been running almost empty stomach i boarded the bus.It took us about 30 minutes to reach. 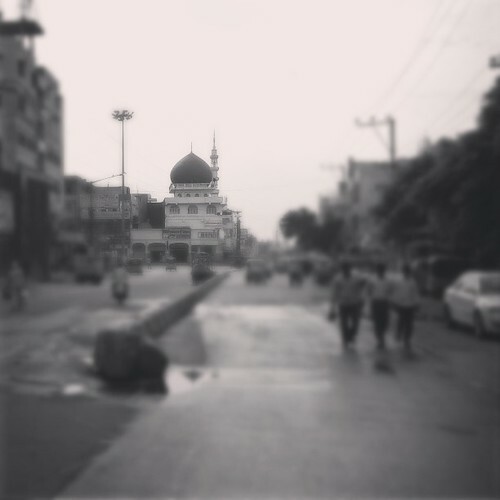 A couple of minutes of walk, an there stood the Charminar. This was not the correct time to visit the place. It was jam packed. The streets has shops selling pearls, fruits, clothes and bakery items. We moved closer. The crowd density increased. We could now see the Char minar a bit clearly, The site was highly polluted. The vehicles were running too close to the monument and the pollutants were quite evidently damaging the monument. 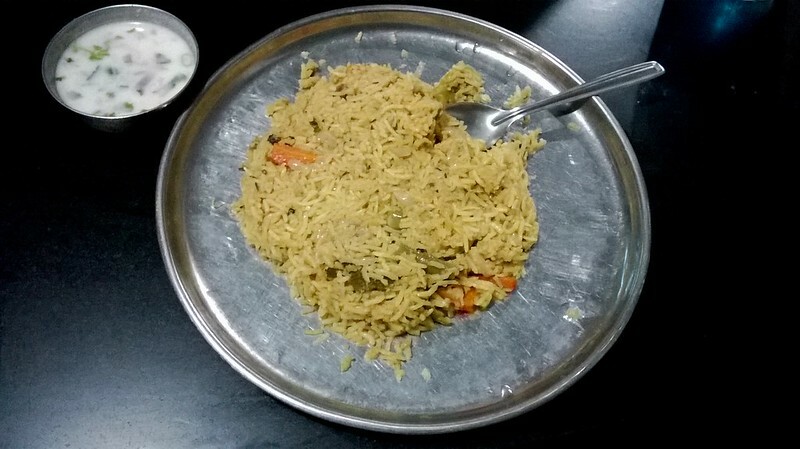 Biriyani is like pulao but with an overdose of clove, cinammon and some secret ingredients . After having this delicious Biriyani, we started our way back to the Hotel. 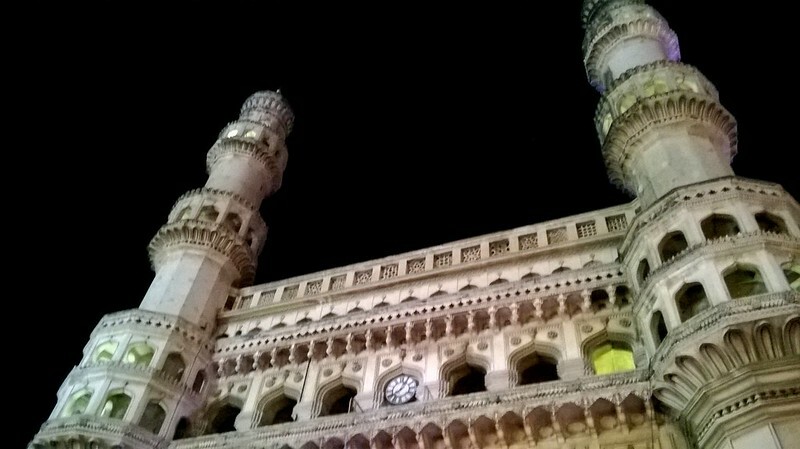 On the way we stopped at Banjara Hills, Its the CP of Hyderabad, picked up a Sundae and headed back. 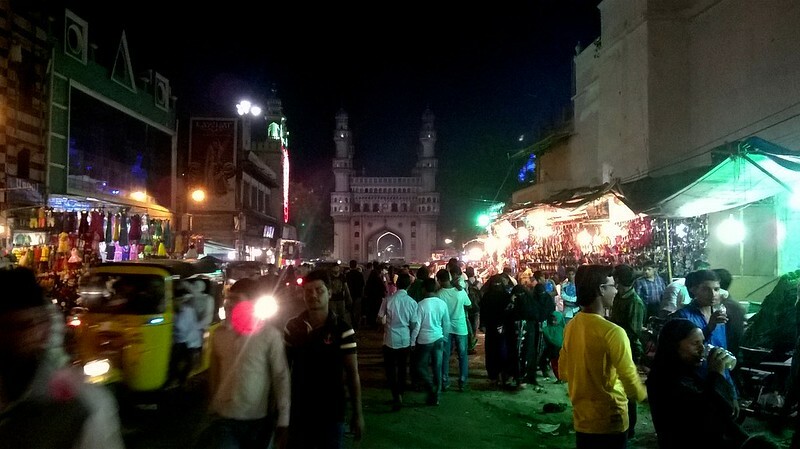 If you visit the CharMinar area and Banjara Hills in the order, you would see how the country is moving forward, Preserving the culture and the soul of its existence as well as We are going in hand with the more developed outlook and are leading the world in some things!